The assault on masculinity has been going on inside and outside of the Catholic Church for decades, but it is now at a fever pitch. To cite one recent example, in his February 21 article, New York Times columnist Nicholas Kristof blamed masculinity for the sexual abuse scandals in the Catholic and Southern Baptist Churches. The Southern Baptist Convention was recently investigated by reporters. This remarkable comment deserves a serious rejoinder. But first a word on why the Southern Baptists were targeted and why Kristof interviewed Jones. Why did the Houston Chronicle and the San Antonio Express-News investigate the Southern Baptist Convention? There are several other Baptist denominations, so why the Southern Baptists? Alternatively, why didn’t they choose to probe the Episcopalians, Lutherans, Methodists, or Presbyterians? Let’s take a wild guess. It’s for the same reason the media, until now, have focused exclusively on the Catholic Church: both Churches are known for their orthodox Christian teachings on sexuality. If they can be discredited, their moral voice will be compromised. One would have to be ideologically blind not to see what’s going on. Why did Kristof tee it up for the president of the Union Theological Seminary? Because he knew she would feed his narrative. This New York-based institution has long been home to “progressive” thinkers, including dissident Catholic theologians (it has even employed those who have been banned from teaching at Catholic colleges due to their wholesale rejection of Catholicism). More substantively, Kristof’s thesis—masculinity is related to sexual abuse—is so spurious that even he admits to its flaw. For starters, he summarizes his argument by citing the Catholic Church’s male clergy and the “submissive” role occupied by females, but then a light goes off in his head. If this is the case, he wonders, then why haven’t most of the victims in the Catholic Church been women and girls? Here is how he puts it. “It’s complicated, of course, for many of the Catholic victims were boys….” Actually, there is nothing complicated about it—he is simply wrong. Masculine priests, those who are naturally attracted to females, account for very little of the sexual abuse. Kristof can’t even get this little bit right. The vast majority, 81 percent, of the victims were male. That’s not “many”—it’s most. And they were not boys: 78 percent were postpubescent; adolescents are properly regarded as young men. But to admit this is to admit that homosexual priests are responsible for the lion’s share of the abuse. And no one at the New York Times is going to admit to this verity. The Catholic Church needs more masculine priests, not fewer. To put it differently, though matters are better today, for many years the Church had too many priests who were either effeminate or sexually immature. We’ve seen where that got us. I've been addressing this problem for years. See here for example. And here. War will come from the south, peace from the north. 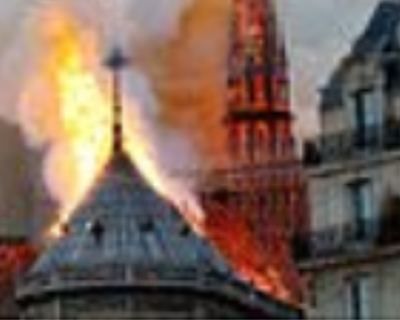 The laws of France no longer recognize the Creator. The Creator will reveal Himself by visiting her three times with the scourge of His wrath. The first time He will destroy her pride by defeat, pillage, and destruction of crops, cattle, and men. On His second visit the great whore of Babylon, which the faithful grievingly call Europe's brothel, shall lose her leader and fall prey to chaos. 'Paris! Paris! Instead of fortifying yourself with the Lord's name, you surround yourself with houses of ill repute. You yourself shall destroy them; your idol, the Pantheon, will be razed to the ground, so that it may truthfully be said that 'iniquity has lied to itself.' [Ps. 26,12] Your enemies will plunge you into anguish, famine, terror, and the contempt for My law, says the Lord. 'On My third visit, you shall fall under the foreign yoke. From afar your enemies will see your palaces in flames, your home in ruins, soaked in the blood of your heroes who are no more.'" The inability to kneel is seen as the very essence of the diabolical.. I've said this many times before, masonic forces seek to subvert the Church from within and to create a 'new church' created in the image and likeness of man. The new humanitarian religion will result from a quiet revolution within the Church. This new religion will be anti-supernatural. And it will embrace the Socialistic New World Order and the Reign of Antichrist. This is the false church Venerable Anne Catherine Emmerich saw in her visions. Then too, the new forms are the result of experimentation. But one experiments with things, with objects that one wants to analyze. Experimentation is the method of science. The wretched idolatry and vulgarity of tinkering with sacred realities has, unfortunately, penetrated the Church and produced a mediocrity-ridden liturgy, a show for spectators that distracts from the holy, frustrates intimate communion with God and trivializes, where it does not suppress, sacred actions, symbols, music and words. In reality, such diminished liturgies have renewed nothing. Rather these innovations have emptied churches, dried up vocations to the priesthood and sisterhood, driven off converts and opened the doors wide to a flood of renegades. 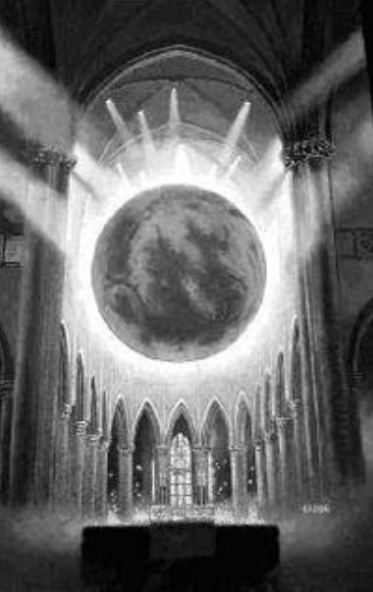 Even though valid in its essence, such a new liturgy cannot inspire for it is colorless, artificial, banal, without the odor and flavor of sanctity. A humanized and popularized, man-oriented liturgy will never produce saints. Only a divinized, God-oriented liturgy can accomplish that miracle. One suspects that many priests realize the banality of the new liturgy. That is why they often become, during the Mass and other ceremonies, actors and entertainers. They put on a show in order to gain the attention of the congregation. These comedians in chasubles preach a utopian Christianity rather than the true Christianity. Their treasure is man rather than God; their emphasis this-worldly rather than other-worldly; their goal progress rather than sanctity; their apostolate is immanent rather than transcendent; their means to their goal is the way of revolution rather than the way of the cross; they preach a secular Church instead of the Sacred Church founded by Christ; the essence of their morality is self-assertion rather than self-denial; the Christ they present to the congregation is the Humanist Christ rather than the God-Man crucified Christ...they genuflect before the world and stand before Christ...they are moved by resentment and envy instead of radiating the joy of Christ.."
necessary gesture. The man who learns to believe learns also to kneel, and a faith or a liturgy no longer familiar with kneeling would be sick at the core. Where it has been lost, kneeling must be rediscovered, so that, in our prayer, we remain in fellowship with the apostles and martyrs, in fellowship with the whole cosmos, indeed in union with Jesus Christ Himself." 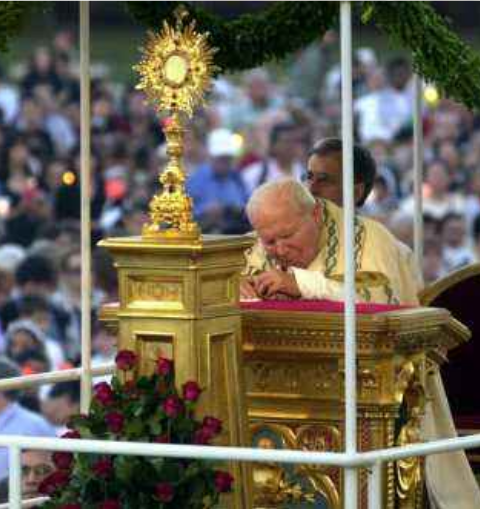 Does Francis refuse to kneel before Our Eucharistic Lord because he believes the Eucharist to be merely a symbol? Years ago, when Pope John Paul II still reigned, Michael Brown over at Spirit Daily contacted Father Albert Roux of the Marian Movement of Priests because of a story he was writing on Father Stefano Gobbi. It's not as if Francis cannot kneel. See here for example. "Bill Whatcott was convicted of 'mis-gendering' – telling people that a male wearing women’s clothes is actually a male, not a female. You read this correctly. This is how insane things have become in Canada. But the Tribunal declared that Whatcott’s (true) statements caused injury to the cross-dressing man’s 'dignity, feelings, and self-respect,' and therefore Whatcott must be punished. The Tribunal noted that truth is no defense." Professor James Hitchcock, in his excellent work entitled "Catholicism and Modernity" (New York: Seabury Press, 1979, p. 86), explains the role of the media in this entire process: "The media's alleged commitment to 'pluralism' is at base a kind of hoax. The banner of pluralism is raised in order to win toleration for new ideas as yet unacceptable to the majority. Once toleration has been achieved, public opinion is systematically manipulated first to enforce a status of equality between the old and the new, then to assert the superiority of the new over the old. A final stage is often the total discrediting, even sometimes the banning, of what had previously been orthodox." Father Patrick McHugh explains that, "The angels, like ourselves, have free will. Some of them turned from God; we humans can also reject grace in our turn. The beginning of hell is to listen to the serpent who urges us to decide for ourselves what is good or evil with out reference to God. Satan knows, if we do not, that there is no goodness or beauty or truth or love that are not sparks cast off from the Pure Source of Goodness and Beauty and Love and Truth that God is. We can no more create moral goodness on our own than we can create the stars. The goodness of honesty or integrity or chastity exists outside and beyond anything we may elect, vote for or decide. Pope John Paul II has brilliantly analyzed this objectivity of moral goodness in his Encyclical, The Splendor of Truth (Veritatis splendor). What he insists on, if not in these exact words, is that the the moral law, like the law of gravitation, does not come from our consensus. It does not come from earth but from heaven. We are free to accept or reject it but we are not free to accept or reject the consequences. If we turn from the goodness of honesty or fidelity or compassion or responsibility or truth or love, if we turn from God deliberately and with malice, we enter into the realm of disorder, alienation and hate. We carry our personalities with us into eternity. We ratify what we have chosen to become. If we leave this world locked into ego, our choice of self apart from God becomes final, irrevocable and complete. This is known as hell." Our Eucharistic Lord waits for you. He waits alone in an empty Church. Outside the world and all its noise appears attractive. But this world and everything in it is passing away. It is, as C.S. Lewis said, a "shadowland." Approach the Light. Pray before the Eucharist and be filled. For your heart will never be filled until you give it totally to Him Who has created and redeemed you. This quote was taken from a German periodical published in 1963 entitled Neues Europa, and received unofficial approbation in the 1960’s by several Church officials who had read the original Third Secret which was hand written by Sister Lucia. Among those who read the original was the respected Cardinal Ottovani. The new and “official” version put out by the Vatican in 2006 has been demonstrated to be a fabrication. Consecrate yourself to the Sacred Heart of Jesus and the Immaculate Heart of Mary. Make your home an ark. The Chastisement, which has been delayed through much prayer and reparation, fast approaches. This as our culture disintegrates. Pray, hope and don't worry. The letter of the Pontifical Council for Interreligious Dialogue, which was obtained by LifeSiteNews, is dated February 21, 2019. It was sent last week to Catholic university professors in Rome, together with the attached 'Document on Human Fraternity for World Peace and Living Together' which Pope Francis signed with Grand Imam Ahmad el-Tayeb in Abu Dhabi on February 4. Bishop Miguel Ayuso Guixot, secretary of the Pontifical Council, wrote in the letter that the 'Holy Father has asked this Pontifical Council for Interreligious Dialogue to contribute to the widest possible dissemination of the Document on Human Fraternity for World Peace and Living Together' as it had been originally signed by Pope Francis and by Ahmad el-Tayeb, Grand Imam of Egypt’s al-Azhar Mosque. The letter also quotes some passages from the Abu Dhabi document, in which both signatories pledge 'to convey this Document to authorities, influential leaders, persons of religion all over the world, appropriate regional and international organizations, organizations within civil society, religious institutions and leading thinkers.' The signers promise to 'make known the principles contained in this Declaration at all regional and international levels, while requesting that these principles be translated into policies, decisions, legislative texts, courses of study and materials to be circulated.' A further aim is to 'educate new generations' in the sense of this document for world peace and fraternity among peoples and religions..."
There are dark forces working toward a One World Religion, a religion which must overcome traditional Roman Catholicism while advancing a false irenicism in preparation for the Reign of Antichrist. Signs that this new religion is beginning to emerge may be seen by those who are spiritually awake. "Patently, the rebellion against truth is primarily a rebellion against philosophical truth, against truth in the field of ethics, of metaphysics, and of epistemology. It is the hatred of absolute truth, culminating in the hatred of supernatural truth." (Dr. Dietrich von Hildebrand, The New Tower of Babel, p. 14). At so urgent a crisis, when so fierce and so pressing an onslaught is made upon the Christian name, it is Our office to point out the danger, to mark who are the adversaries, and to the best of Our power to make head against their plans and devices, that those may not perish whose salvation is committed to Us, and that the kingdom of Jesus Christ entrusted to Our charge may not stand and remain whole, but may be enlarged by an ever-increasing growth throughout the world." 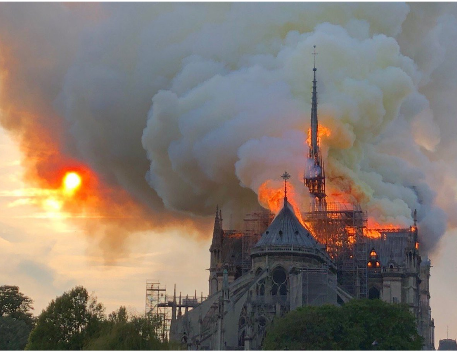 "I hear all around me innovators who wish to dismantle the Sacred Chapel, destroy the universal flame of the Church, reject her ornaments and make her feel remorse for her historical past. In our churches, Christians will search in vain for the red lamp where God awaits them, like Mary Magdalene weeping before the empty tomb, they will ask, "Where have they taken Him?" (Pope Pius XII, quoted in the book Pius XII Devant L'Histoire, pp. 52-53, by Msgr. Georges Roche). How will this be accomplished? Pope St. Pius X, the Pope of the Eucharist, warned back in 1907, in his Encyclical Letter Pascendi Dominici Gregis, that the enemies of the Church, knowing that external persecution of Her actually brings about Her greater growth ("The blood of the martyrs is the seed of Christianity" - Tertullian), would focus in the future on destroying Her through infiltration. "I saw St. Peter's. A great crowd of men was trying to pull it down whilst others constantly built it up again. Lines connected these men one with another and with others throughout the whole world. I was amazed at their perfect understanding." The demolishers, mostly apostates and members of different sects, broke off whole pieces and worked according to rules and instructions. They wore WHITE APRONS bound with blue riband. In them were pockets and they had TROWELS stuck in their belts. The costumes of the others were various. "There were among the demolishers distinguished men wearing uniforms and crosses. They did not work themselves but they marked out on the wall with a TROWEL where and how it should be torn down. To my horror, I saw among them Catholic Priests. Whenever the workmen did not know how to go on, they went to a certain one in their party. He had a large book which seemed to contain the whole plan of the building and the way to destroy it. They marked out exactly with a TROWEL the parts to be attacked, and they soon came down. They worked quietly and confidently, but slyly, furtively and warily. I saw the Pope praying, surrounded by false friends who often did the very opposite to what he had ordered..."
We have witnessed the gradual emergence of this false church within Christ's Church. And that which this false church proposes is a new religion in which man, and not God, is the object of worship. And all will be accomplished in the name of humanitarianism. Through one of his characters in his prophetic book The Lord of the World, Fr. Robert Hugh Benson describes this humanitarian religion: "Humanitarianism...is becoming an actual religion itself, though anti-supernatural. It is a pantheism. Pantheism deifies all nature, God is the world, but naturally, man above all is God since he is the highest expression of nature. It is a religion devoid of the 'super' natural, because since God is nature itself, there is no longer a distinction between Creator and creature. The creature is God and hence arbitrator of his own destiny and establishes the moral law for himself. Nature, and man is its highest expression, has all the divine attributes. Humanitarianism is a religion devoid of the supernatural. It is developing a ritual under Freemasonry; it has a creed, 'God is man'; and the rest. It has, therefore, a real food of a sort to offer religious cravings: it idealizes, and yet makes no demands upon the spiritual faculties. Then, they have the use of all the churches except ours, and of all the Cathedrals; and they are beginning at last to encourage sentiment. Then they may display their symbols and we may not: I think they will be established legally in another ten years" (Introduction, p. xvii). "Some of their vicars are also prepared to sanction gay unions. That church is showing flexibility. Is the Catholic church not going to have to do the same eventually?" "I don't know. Who knows what's down the road?" The faithful remnant knows. Catholic prophecy has already indicated that like her Master, the Mystical Body of Christ on earth which is the Church must pass through Calvary to glory. We read this in 675 of the Catechism of the Catholic Church. "Violence against pro-life groups and individuals has been underreported by mainstream media outlets even though it occurs on a fairly regular basis and has for decades. While pro-life activists and organizations have received their share of threats (phone calls, mail, personal threats, online, etc. ), more serious attacks of vandalism and even violent assault take place against pro-lifers with little mention in the press. The abortion lobby, with the help of complicit pro-abortion media has portrayed pro-lifers as 'violent' with regularity." It was Adolf Hitler, in Mein Kampf, who said that, "The chief function of propaganda is to convince the masses, who slowness of understanding needs to be given time in order that they may absorb information; and only constant repetition will finally succeed in imprinting an idea on their mind.........the slogan must of course be illustrated in many ways and from several angles, but in the end one must always return to the assertion of the same formula. The one will be rewarded by the surprising and almost incredible results that such a personal policy secures." "Once they succeeded in ending democracy and turning Germany into a one-party dictatorship, the Nazis orchestrated a massive propaganda campaign to win the loyalty and cooperation of Germans. The Nazi Propaganda Ministry, directed by Dr. Joseph Goebbels, took control of all forms of communication in Germany: newspapers, magazines, books, public meetings, and rallies, art, music, movies, and radio. Viewpoints in any way threatening to Nazi beliefs or to the regime were censored or eliminated from all media. During the spring of 1933, Nazi student organizations, professors, and librarians made up long lists of books they thought should not be read by Germans. Then, on the night of May 10, 1933, Nazis raided libraries and bookstores across Germany. They marched by torchlight in nighttime parades, sang chants, and threw books into huge bonfires. On that night more than 25,000 books were burned. Some were works of Jewish writers, including Albert Einstein and Sigmund Freud. Most of the books were by non-Jewish writers, including such famous Americans as Jack London, Ernest Hemingway, and Sinclair Lewis, whose ideas the Nazis viewed as different from their own and therefore not to be read. The Nazi censors also burned the books of Helen Keller, who had overcome her deafness and blindness to become a respected writer; told of the book burnings, she responded: "Tyranny cannot defeat the power of ideas." Hundreds of thousands of people in the United States protested the book burnings, a clear violation of freedom of speech, in public rallies in New York, Philadelphia, Chicago, and St. Louis. Schools also played an important role in spreading Nazi ideas. 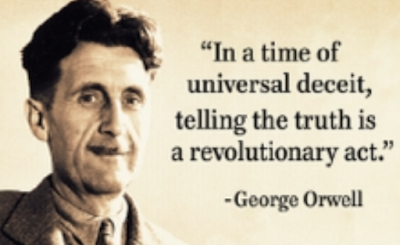 While some books were removed from classrooms by censors, other textbooks, newly written, were brought in to teach students blind obedience to the party, love for Hitler, and antisemitism. After-school meetings of the Hitler Youth and the League of German Girls trained children to be faithful to the Nazi party. In school and out, young people celebrated such occasions as Adolf Hitler's birthday and the anniversary of his taking power." Today, censorship is beginning to be used against Christians to silence moral opposition to abortion and homosexuality. Today's censors do not have to gather up thousands of books, march by torchlight in nighttme parades and throw books into huge bonfires. They have merely to strike a few keys from the comfort of their offices. Inflated in their rebellion against the God-Man, the Sons of Satan, those committed toward the atheistic program of attacking the Church from without and undermining it from within in preparation for the Man-God, will continue to intensify their persecution of craftiness and subversion until it reaches its culmination in an explosion of hate-filled rage which will bear much blood and death. Father Livio Fanzaga, writing about the Antichrist, says that, "Catholicism alone will resist him. How then do we destroy this superstition which alone obstructs the world's self-revelation? How do we destroy this superstition which divides mankind and which prevents man from being truly brotherly and free? The true Antichrist is revealed in the replies to these questions. Here is perceived his profound being as the man of iniquity. He will not tolerate the idea of men who adore any god other than himself. His intolerance obliges him to make an exception to his pacifism and his philosophy of non-violence. He is the greatest pacifist in the history of the human race, but because peace and justice really reign on earth he will make an exception to kill and destroy the great superstition of Catholicism, once and for all time..." (Wrath of God: The Days of the Antichrist, p. 124).